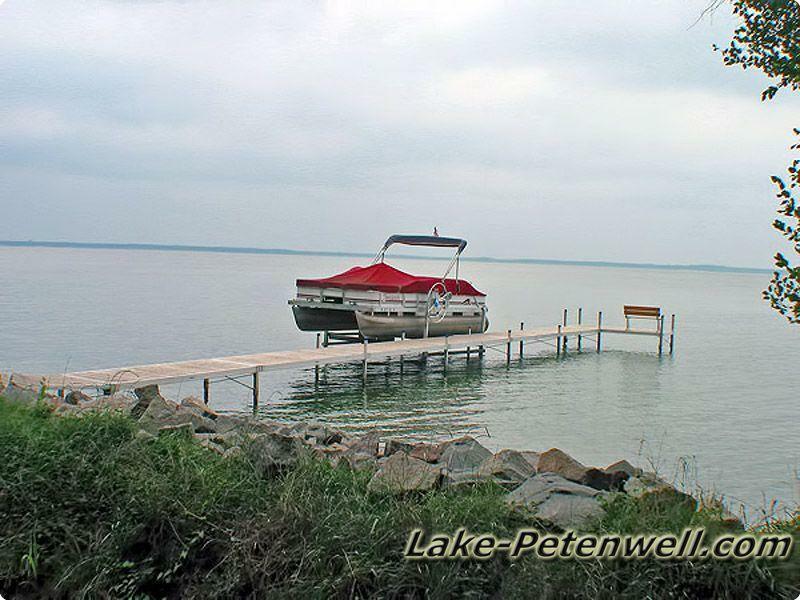 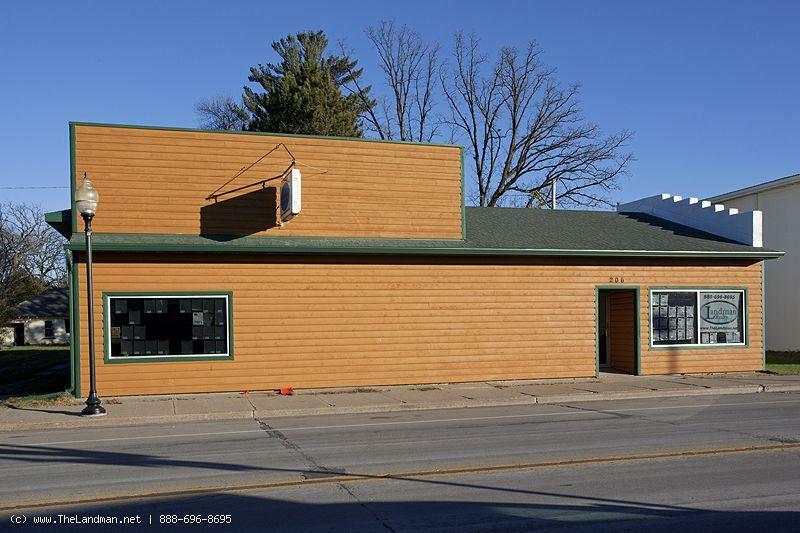 "Marina Shores Subdivision" is located in Monroe Township of Adams County by Monroe Center, Wisconsin on Lake Petenwell with both waterfront and off water deeded access lots. 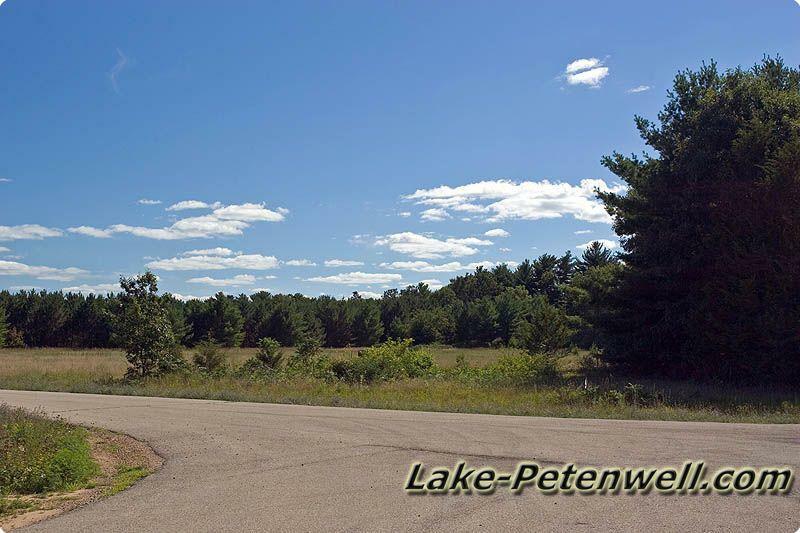 This small Adams County Real Estate Development has a total of 12 lots; 5 Waterfront lots, 7 offwater deeded access lots, 1 Outlot and a Public Access lot which no one really knows about. 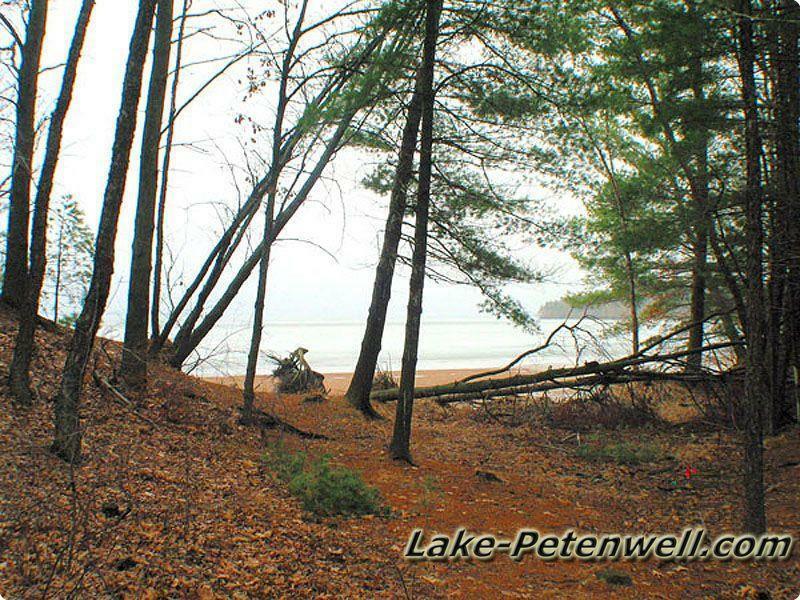 Marina short is not far from and between Monroe Town Park and Petenwell County Park which are minutes away. 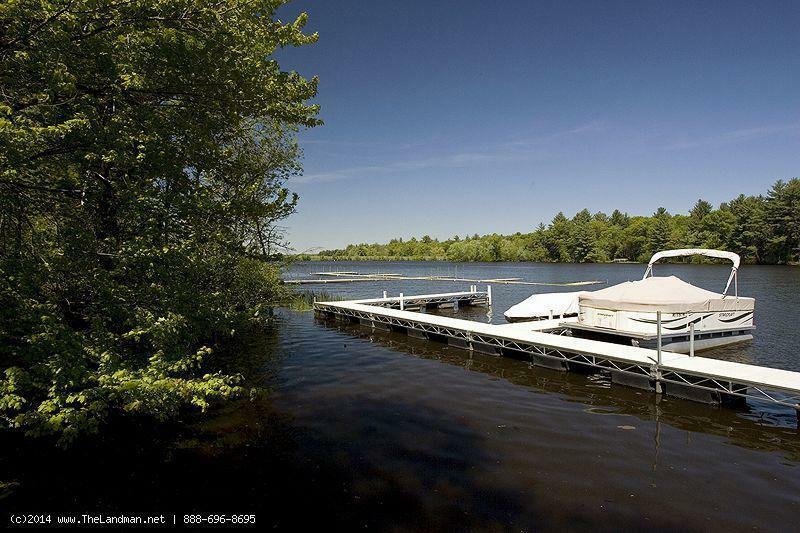 At Monroe Town Park is a rustic boat launch for smaller fishing boats on 18th Ave and a larger boats will need to be put in the water at Petenwell County Park off of Bighorn Ave. Marina Shores Homes for Sale and Land for Sale. 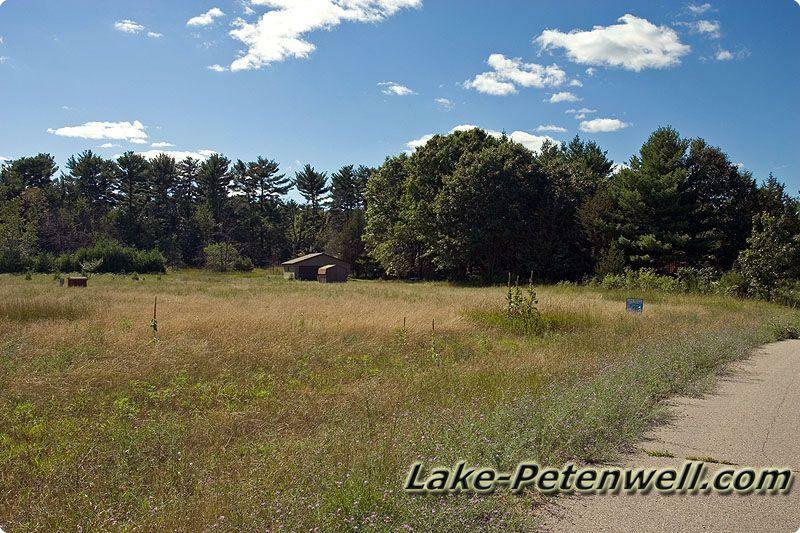 1 Outlot and Public Access Lot to Lake Petenwell. 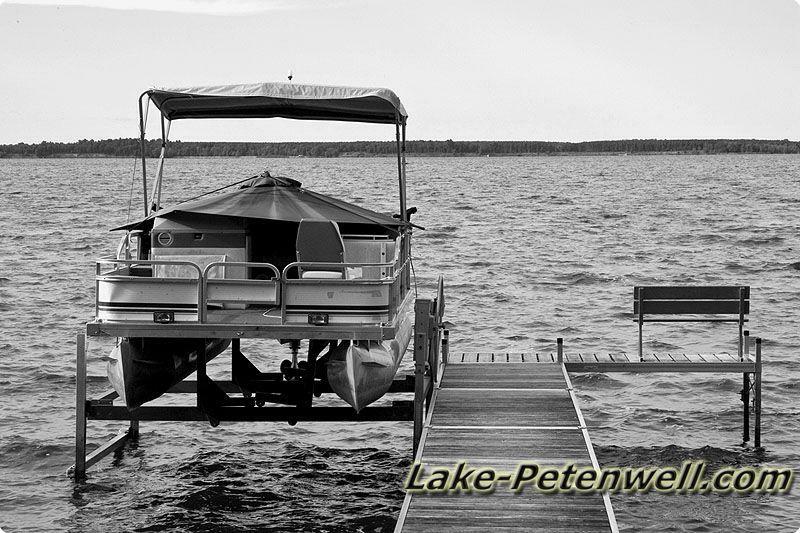 Outlot #1 is for Lake Petewell Access and access to the boat slips. 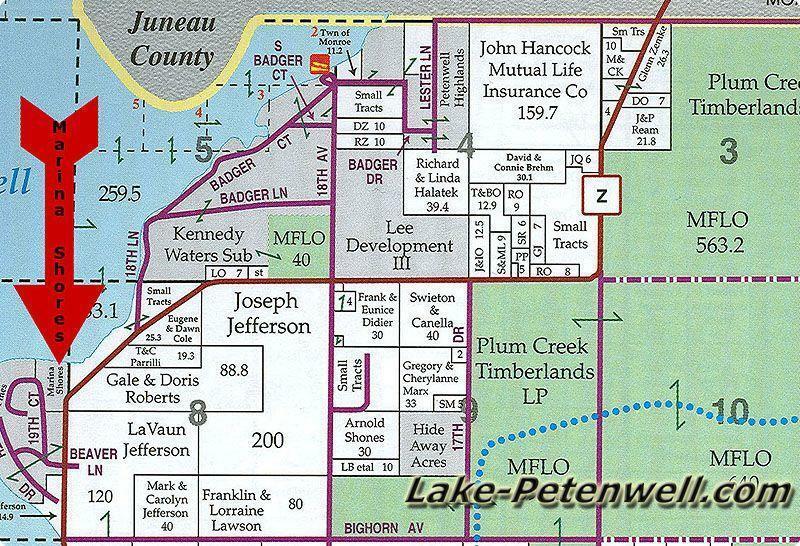 Marina Shores Map on Lake Petenwell, WI.